Can you imagine a Cozumel with no Coconut palms? 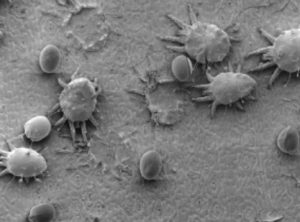 I’m not referring to what might happen if the Red Palm Mite has its way. This voracious pest (Raoiella indica, also known as Raoiella eugenia) originated in the area around India, Iran, Arabia, and Egypt then jumped the ocean and landed on Cozumel’s shores, where it is now decimating the coconut palms as well as other species of plants. Nor am I speaking of the Lethal Yellowing Disease, a disease caused by the insect Haplaxius crudus and the reason Cozumel lost so many palms back in the late 1970s and 1980s. No, I’m not referring to these present menaces; I’m talking about what Cozumel island looked like BEFORE the coconut palm took root here. 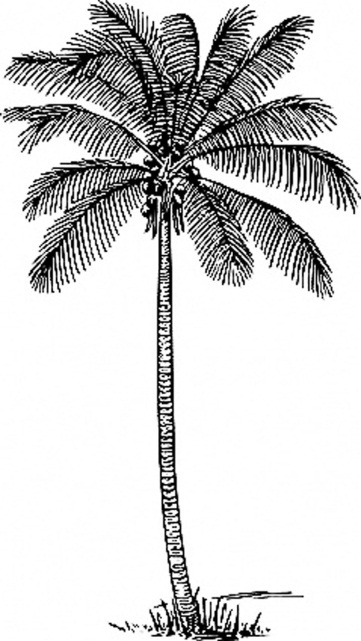 The Coconut Palm (Cocos nucifera) is not indigenous to the Americas. It most likely originated in Southeast Asia (fossil coco palm leaves dating from the Pliocene have been found in Queensland, Australia) and later spread throughout the western and mid-Pacific by early seafarers, such as the Polynesians. The tree only reached Mexico in 1539, when the Spanish planted some in Acapulco that they had carried with them from the Philippines, back in the days when Acapulco was an important port for the Manila Galleon trade. Ten years later, in 1549, the first examples were introduced to Campeche and Veracruz, but no coconut plantations were established in Quintana Roo until the 1700s.